Many of us, as Christians, are acutely aware of this phrase. Over 30 citations throughout the Bible contain this expression and almost every minister utters the words at Christian weddings. So what does this really mean in marriage when we reminisce the essence of “cleaving” to another being? There is more to this than renderings of commitment, praying through difficult times, being bonded to your spouse, or serving Christ within the marital commitment. While these activities are good for couples to engage in, they are not the deep connection that cleaving entails. Science has helped us gain a better grasp of what it means to cleave to one’s spouse. Cleaving is not only relegated to marriage but is steeped in all relationships, especially in how we relate to Christ or how parents relate to their children. Koinonia, a Greek term, has an element of cleaving in its meaning and is rendered as “fellowship” in most English translations. The biblical term is also translated to mean “to know” or “to perceive others at deep levels”. We get a sense of this as we contemplate the interactions of the early church as they were able to discern each other through an intimate and spiritual connection. The ability to cleave to one another is developed and formulated in the mother/infant interaction. Attachment is formed through this relationship and is a synonym of cleaving. The infant is only able to communicate through the expression of emotions. This expression is one of the functions of the child’s right brain. Whereas language is a function of the left brain and will not develop for a couple of years. Neuroscience tells us the mother and infant have right brain to right brain communication. Through this communication, they are able to perceive the emotions and intent of one another. The right brain is attuned to the emotional state within our bodies. One may say “my right brain perceives me”. In addition, the right brain can perceive others such as in a mother/infant relationship. Thus, the mother is able to perceive the needs of the infant through right brain communication, which can also be termed “a mother’s intuition”. The infant is able to reciprocate this phenomenon by perceiving his or her mother’s emotions and intentions. In fact, neuroscience indicates we are hard wired to perceive another brain, another being. With consistent care and attunement between mother and child, the child develops a secure attachment. The attachment formed in childhood is carried out in adult relationships. This attachment forms the lens through which we perceive and relate to ourselves, others, and God. Adults, who have a secure attachment style, tend to experience greater satisfaction in their relationships. Children with a secure attachment are not afraid to venture out and explore the world. They also tend to establish more collaborative relationships. Secure adults are able to soothe their partner during times of distress. An insecure attachment style develops when the care of the child is neglected, inconsistent, or abusive. When a child does not attach to a caregiver, he or she will have difficulty establishing an emotional connection to God. In addition, when an insecurely attached child marries, he or she will find developing an emotional connection virtually impossible. Mirror neurons are what the child uses to ‘soak in’ the mother’s emotions. Science indicates the right brain to right brain communication between mother and infant co-regulates the immune system, the central and autonomic nervous systems, and the arousal states of the child. Mirror neurons act as sensors that pick up information about the feelings and the intentions of others. Understanding the intentions of others helps us see the whole person and not define another by a misdeed or some type of behavior. Scripture describes this discernment of feelings and intent in the passage that declares humans judge behaviors but God judges the heart or the motive. Cleaving is an experience between two people that involves right brain communications. When two people cleave, they are able to understand the other’s intentions, emotions, and behaviors. Some marriage therapists claim most of the issues couples argue over predate the marriage. Thus, counseling can be an instrument to help couples address unresolved attachment needs and begin to help couples formulate an emotional connection. 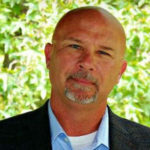 Scott is a dedicated professional counselor who believes that everyone has what it takes to thrive. His goal is to provide an environment in which there is no judgment – only acceptance. He builds safe places where clients can realize the assets and strengths that are within them. His education includes a bachelor’s degree from a state university and a Masters in Counseling from a private university.